I have no idea what to expect in this book since I saw this on NetGalley. I just decided to request it because of the cover and the title, it's catchy in someway. The book is okay, and I did a research about it, it is really a tribute for the Sandy Hook Elementary School. What happened is terrible, I can't imagine how that thing happened those people who did that massacre has no heart. Moving on, this book is good to read, somehow it's an inspiration to those who's losing their path in life. Nicole Janicek is such a hero to me. It is because of what she did for everyone's sake, just because of her dream or it is more on premonition. She's a brave lady, and she really take the risks just to know what's really going on in their school, even befriending Adam Upton. No matter how dangerous he is, Nicole still believes deep down, he is a good man. A big massacre is planned by Adam Upton and his friend Thomas "Lee" Harvey on 12:14. The story has a good twist, which makes everyone change their perspectives. Well now I believe that sacrifices has to be made before a person change and also the truth will set you free. I'm not sure if I can post the poem Streaks of Blue here but spoiler alert, so I suggest just read it. It's a good thing I was able to read this. As I did some research, I found everything on Google and it was really a terrifying tragedy. By the way, it makes me emotional at the end of the book because so many things happened. I've loved writing since I was about 7 years old. And after reading so many great books over the years, I'm inspired to write a few of my own. "Queens are Wild" (2012, Smashwords) is actually my third novel, but the first I've put out there for a worldwide audience. 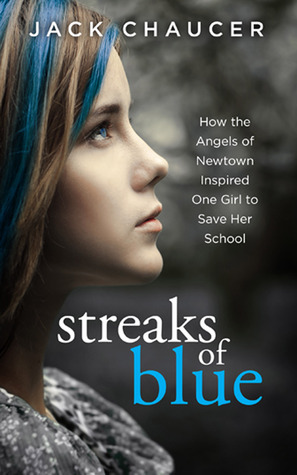 "Streaks of Blue: How the Angels of Newtown Inspired One Girl to Save Her School" is my next book and will be published on Sept 27, 2013.